At Sudlow Concrete, we set the highest standard for driveway repair in Atlanta. 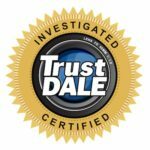 For years, we have been rated Atlanta’s top trusted driveway repair company, servicing all metro Atlanta cities including Roswell, Peachtree Corners, Stone Mountain, Lilburn, Marietta and many more. Even the best driveways need repairing eventually, whether that time comes after five years, ten years or twenty. At Sudlow, we have over 20 years of experience in repairing all types of driveway issues, including cracks, sinkholes, dips, uneven settling, buckles, and so much more. Regardless of your driveway repair need, we guarantee our experienced professionals can fix it for any residence or commercial property – we’ve done it all. There are many different types of damage that can occur to your driveway over time that can pose safety hazards and diminish property value overall. Maybe you’ve had a sinkhole occur in your driveway caused by previous construction debris buried underground. Or maybe your pavers are loose or missing. It could also be your concrete driveway is bulging, cracking, or chipping from tree roots. Did you know that the number one cause of damage to driveways is tree roots and improper joint spacing? At Sudlow, we combat this with 10-foot control joints to protect the driveway from any impeding root pressure underground. All of these issues can pose safety risks to cars driving over it, as well as negatively impact the overall curb appeal of your property, lowering its value. When damage occurs to your driveway, it’s important to repair it and not let it go unattended. If certain issues are left unaddressed for too long, there’s certainly risk for them to increase and worsen overtime, causing more costly damage. Driveway repairs and driveway resurfacing will extend the longevity of your driveway and prolong a full driveway replacement for several more years. At Sudlow, we pride ourselves in flawless driveway repair jobs that make the surface functional and hold up to wear and tear over time. A newly repaired driveway will add instant curb appeal and increased property value as it is, but it doesn’t have to be an old-fashioned concrete driveway. When repairing your driveway, there is always an option to switch up the appearance with different design options. With our professional talent at Sudlow, the design options are vast. Many homeowners will choose to add an apron to the end of the driveway made of brick, stone, or another contrasting material. Driveway aprons add a frame to the driveway creating a clean, polished and unique look. We also offer an option for stamped concrete to give your driveway the look of stone, brick, tile or wood. Our driveway technicians create this look through concrete scoring that gives it the illusion of any design or pattern. If you prefer the look of real stone, we also offer stone and masonry options as well. If you look through our photo gallery, you’ll see a little bit of everything, so feel free to browse and find a style that you like! Regardless of what your driveway damage may be, there’s an easy and affordable way to address this problem, and it begins with a call to Sudlow Concrete. At Sudlow Concrete, we treat driveway repair as an art. Concrete driveway repair and replacement is a big part of what we do, and our 20+ years of being in business gives us the ability to tackle any driveway repair job with confidence. Whether you need quality fixes for cracks and chips, would like a driveway extension to add parking space or expand one that’s too narrow, or even think it’s time for a full replacement, we are the company to do it right. Our dedicated experts can help guide you in making the design and repair choices to enhance the look and value of your property, and make sure your driveway won’t need more maintenance for a while. Regardless of the size and scope of the project, we’re confident that our licensed and insured staff has the knowledge and talent it takes to make the best driveway repairs in the Atlanta Metro area. Our team will do an on-site consulting at your residence to discuss exactly what you need and give a straightforward, honest quote. We keep our prices fair and will never pad your bill with hidden fees. Your driveway is an important element of your property’s safety and beauty, so don’t let it detract from all the time, work, and money you put into maintaining your home and grounds. High-quality concrete driveway repair in Atlanta is only one phone call away. Get in touch with Sudlow Concrete today for a free estimate and consultation. We’ll work with you to get your driveway smooth, safe, and looking as good as new! More than 1000 happy Atlanta-Area customers! Sudlow Conrete had the major portion of an expansive project that included separate work by another contractor for the installation of helical piers to stabilize the house’s foundation. Such required close coordination between the two contractors and the scheduling of their respective work efforts in a prioritized. orderly, coordinated and sequential manner. Sudlow did an excellent job in planning for and accomplishing its work on both the driveways and the retaining wall. Ground prep work and soil compaction was properly completed, reinforcing rebar properly installed, and connection of upper driveway to retaining wall was really done right. Slope of both driveways is excellent (absolutely NO puddles or standing water on either driveway surface after a number of really heavy rains). Finish work of the concrete is outstanding, and the edge and groove work is the best I’ve ever seen. Can’t say enough about the attention Sudlow paid to properly preparing the foundation for and the building of the poured concrete retaining wall, and the resultant quality of the work as was performed. Workers were courteous and professional, worked fast and efficiently, and were quick to answer questions and explain the work being done. In fact, Sudlow’s work crew was perhaps the best group of workers that I’ve ever encountered. Sudlow’s manager for the project – Aaron – was especially responsive and attentive, and stayed on top of the work from start to finish. Sudlow kept in constant contact over the course of the project, was responsive to my comments and requests, and fell over backwards to ensure that I was satisfied. Clean-up was thorough and complete. The owner, Bill Sudlow, made in-progress checks and followed up after all work was completed to ensure that I was satisfied with his company’s work and final project outcome. The total project cost was not only lower than 4 other estimates (significantly lower than 3 of them), but it also included additional work that the others did not. The estimated project cost was in fact the final cost (no over-runs or hidden costs), and it was worth every penny from the standpoints of quality of materials and workmanship, performance and outcomes. I’m no stranger to construction work, and I know a good company when I encounter one. Sudlow Concrete absolutely ranks at the top of my list for concrete work, has my unequivocal endorsement as a reference for their services, and will be the only one I will use in the future for any kind of work that falls within their area(s) of expertise. Review #2: Communication is a key! Sudlow Concrete repaired a large sink hole in my driveway and another small area of the driveway that had cracked and was becoming an issue as well. The project took two days. The owner, Bill Sudlow, communicated with me through the entire process which was nice. I’ve been dealing with several contractors this month and not everyone understands that communication is a key factor to the home owner. The end results – – it looks great. Very pleased. Review #3: Quality of work was top notch! Bill Sudlow was such a pleasure to work with. He gave us an honest quote and the quality of work was top notch!! His crew was very friendly, hardworking and most importantly they cleaned up after themselves as if they were never there, except the gorgeous new driveway, with the lovely brick inlay they matched to the color of the house very well! Would recommend them to everyone!! Thanks Bill! Review #4: Bill and his crew were exceptional. Sudlow Concrete replaced parts of my concrete driveway and patio that were cracked and sinking. The crew arrived on time, worked in a very efficient manner, and did an excellent job. They also did an excellent job in making sure the job site was clean before leaving. I would use them again for any fututre concrete work. Bill and his team do good work. I had them out a few days ago 7/2. The concrete is still curing but so far it looks great! Pricing was fair. He and his team were out ON TIME. The were professional and friendly. I will use them again in the future! We hired Bill and his crew at Sudlow Concrete for a fairly extensive driveway replacement/expansion job. The whole team was a pleasure to work with. There were several complexities to the job that other companies didn’t want to handle. Sudlow did it all and did an excellent job. I would highly recommend them. Bill Sudlow and his crew just finished our driveway today, and we couldn’t be happier. We received four quotes and ultimately went with Sudlow Concrete based on all the great reviews and his very competitive price. He takes great care of his crew, and they have worked with him for a long time. I was very impressed with how hard these guys worked and how meticulous they were with smoothing out the concrete and adding vertical and horizontal joints. Bill also helped us with filling in a sinkhole in our backyard. I would highly recommend Bill and his team for any concrete job. Review #9: Job Well Done! Sudlow Concrete is one of the very best companies, bar-none! !……..arrived on time!…very professional!….kept his word on the price for the large parking pad with a ramp. Extremely conscious of the work that is being performed by his crew!……and the customer’s expectations….gave expert advice for working in a close confinement area while avoiding damaging the sprinkle system and heads/pipes all over the backyard. Moreover, Bill wanted to know before he left if we were completely satisfied with the results; the answer from me and my wife was a resounding YES! !……also, the job is not finished, if the clean-up is lacking…..JOB WELL DONE; Sudlow Concrete.